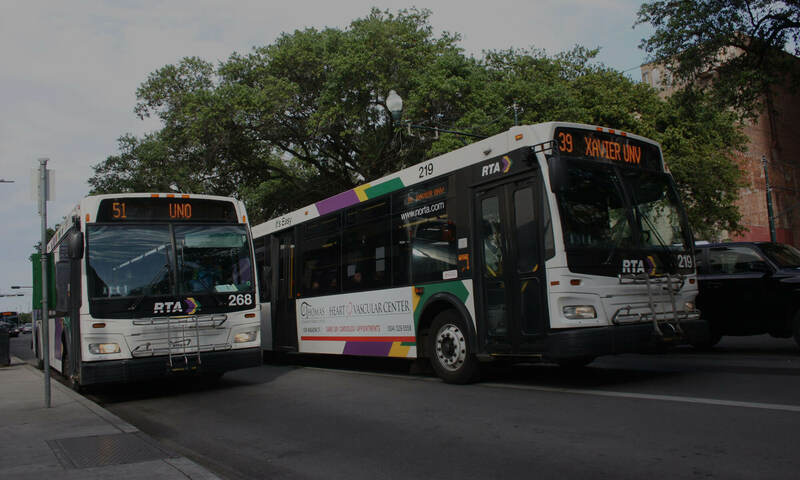 Ride New Orleans released this white paper to offer suggestions on how the City of New Orleans can design streets to make buses and streetcars more frequent and reliable without increasing the annual New Orleans Regional Transit (RTA) operating budget. Read the recommendations here to learn more. Ride New Orleans presents our fifth State of Transit in New Orleans report, an annual examination of how the region is doing in providing bus, streetcar, and ferry service. Read the 2018 State of Transit in New Orleans report to see our key findings. Ride New Orleans presents our fourth State of Transit in New Orleans report, an annual examination of how the region is doing in providing bus, streetcar, and ferry service. Read the 2017 State of Transit in New Orleans report to see our key findings. We found that that nearly half of transit-reliant hospitality industry employees surveyed are “time-burdened” and have total commute times of 60 minutes or longer. Almost one third of surveyed employees had been late three or more times in the last month due to unreliable transit. You can read the full report here. The State of Transit 2016 – Access. Accelerate. Achieve. Ride New Orleans presents our third State of Transit in New Orleans report, an annual examination of how the region is doing in providing bus, streetcar, and ferry service. Download our report here. Ride New Orleans, in partnership with Tulane City Center, investigated how a CBD Transit Hub could become a valued community asset that bolsters New Orleans’ cultural identity while creating new, smart development opportunities for the thousands of riders who stop in this area. Click here to read our report! When the State threatened to cut the Algiers-Canal ferry service in 2013, Ride stepped into action surveying riders and working with decision makers. We also issued a report showing that riders use the ferry to get to jobs that they would not be able to reach otherwise. Check out our research report for more information on why this ferry service is vital for our city.